When did Australia become independent of the United Kingdom? If you said 1 January 1901 you’d earn a few points, but federation only afforded part independence through the formation of a national government. If you said 26 January 1788, you need to school yourself on colonialism and the contentiousness of that date. In any case, Australia is not (yet) fully independent of the UK: Queen Elizabeth II is still our head of state. An ocean away, however, 26 January is celebrated very differently. In 1950, it was the day India became a republic, having won independence from the UK a few years prior. Independence for real. There’s no doubt that colonisation changed the fate of tea as we love it in both countries. Although Indigenous Australians drank a herbal infusion made of Leptospernum scoparium, commonly known as the tea tree, the Indigenous nations of Australia did not see tea from Camellia sinensis in any great quantities – barring occasional contact with Dutch and Indonesian traders – until British colonisation. And while tea is native to the eastern parts of India, it was not until the British started growing it in commercial quantities that it became a Commonwealth commodity, a disruptor for the UK in its trade negotiations with China. 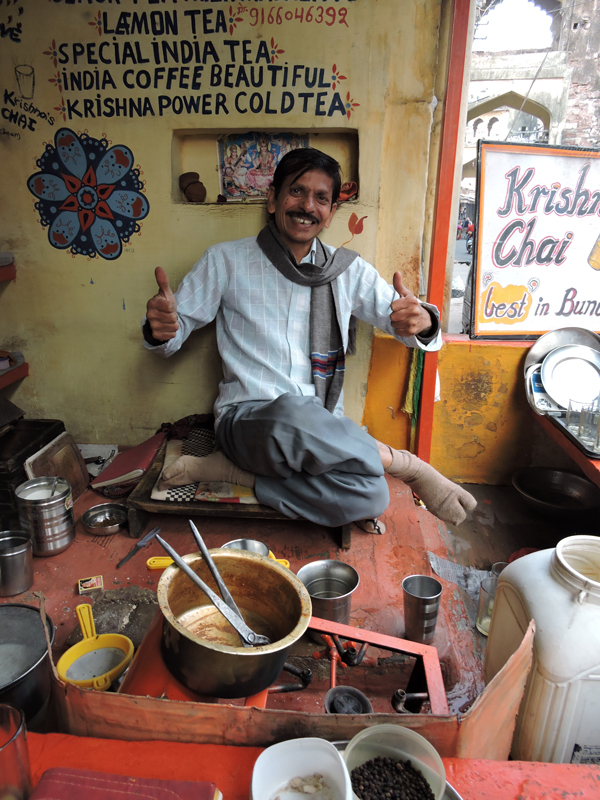 Today, the three main tea-growing regions of India are Darjeeling, Assam and Nilgiri. Tea is the state beverage of Assam, and all over the nation Indians drink masala chai, a mix of tea and spices (in a combination that has its roots in Ayurveda) often with milk. Recipes vary from region to region – even family to family – but commonly include ingredients such as cloves, cinnamon, cardamom, ginger, nutmeg and star anise. In Australia we also grow a lot of our tea in the northeastern corner of the country with some pockets in the south: that’s northern NSW to far north Queensland with an enclave of producers in Victoria. If you were to create a tea beverage for 26 January, what might it taste like? A melange of Indian spices over an Australian tea? An Indian tea garnished with a couple of leptospernum leaves? Perhaps it’s any tea, as long as it tastes like sovereignty. This entry was posted in drinking and tagged Australia, India, UK. Bookmark the permalink.